There's a lot to know about the largest country on Earth! 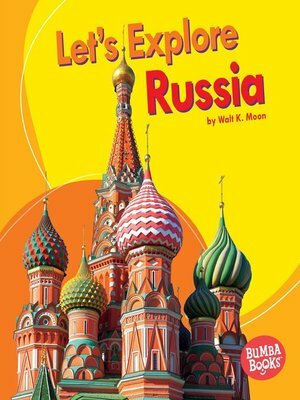 Let's visit Russia and learn what makes it special. What foods do people eat there? What animals can live in the tundra? Explore the answers to these questions and more through carefully leveled, age-appropriate text. Eye-catching photos will make you feel as if you're actually there, in the largest country on Earth. Walt K. Moon writes and edits children's books. He lives with his wife and their cats in rural Minnesota.